While TARP was controversial and some folks still claim it was a massive failure, the government recently sold off its AIG stock at a nice profit. At this point, the state has gotten back $380 billion of the $418 billion that was distributed through TARP. This is about 90%. As might be imagined, some people will still be concerned that the government is still about 10% shy of breaking even on TARP. Naturally, it is also worth considering the possible benefits of TARP. After all, if it helped prevent a total meltdown and the state has gotten about 90% of its expenditures back, then it seems like it was a pretty good deal. Naturally, I expect people to give reasons why TARP was horrible. 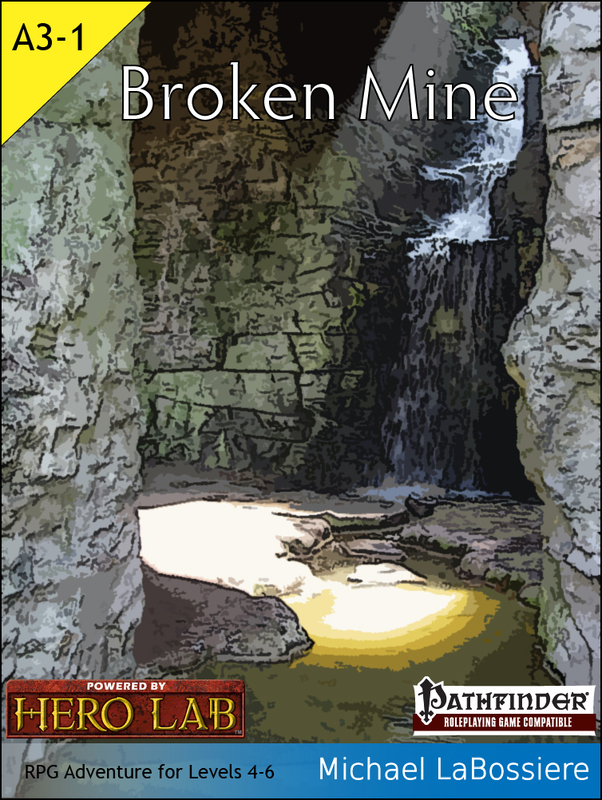 “Broken Mine” will be free on Amazon from 12/11/2012-12/15/2012. A Pathfinder compatible adventure for 4th-6th level characters. Old stories tell of the wizard Kelsun, better known as Kelsun the Mad Prophet. According to these stories, Kelsun received a vision of a world shaking disaster and, the truth be told, it drove him mad. Fortunately, his madness was a benevolent one-he set out, in his odd way, to help ensure that items of power would be available to help rebuild civilization after the disaster of his visions. Unfortunately, his benevolent madness was…madness. He decided to hide the items he had gathered and created in strange and obscure places. He also chose to protect them with various guardians and traps. Finally, he left cryptic and even bizarre clues regarding the locations of his caches. One set of clues was given to our ancestors. Since that time we have tried to figure out what the clues meant and met with failure after failure. However, as was also foretold by prophecy, one of our youngsters managed to pierce a very useful clue that yielded what we hope is the location of one of the hidden caches. Because of your known skill and courage, it is hoped that you will go there and unlock its secrets. Be warned, though, the place will no doubt be rather dangerous.